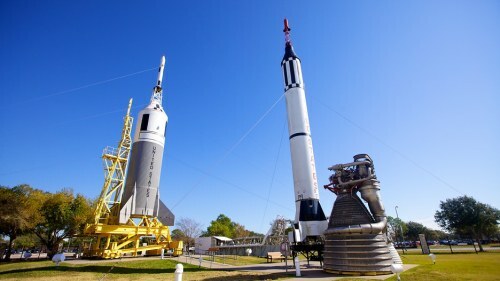 Delta and Westjet have dropped the price of their flights from Winnipeg to Houston, Texas down to $254 CAD roundtrip including taxes. 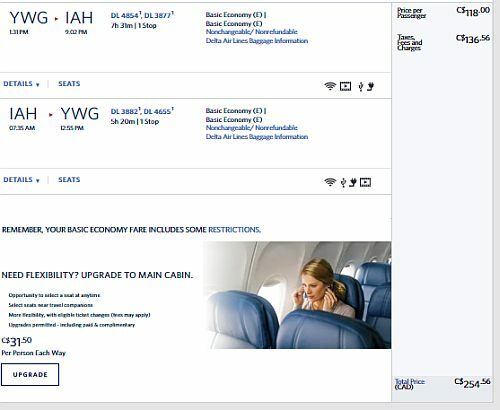 This is a new record for the cheapest flights from Winnipeg to Houston. The flights have 1 short stop each way, in Minneapolis or Calgary. 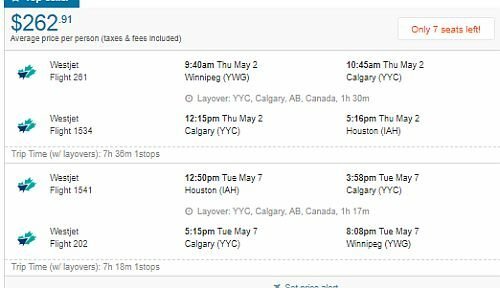 Winnipeg does not have non-stop flights to Houston. - Look for the dates that are $270 roundtrip.